Adelaide is leading the way in teaching students around the world game design and visual effects. Robin Potanin, the head of the Adelaide campus of the Academy of Interactive Entertainment, said South Australia was helping students from regional Australia and the rest of the world get the education needed to succeed in the design business. 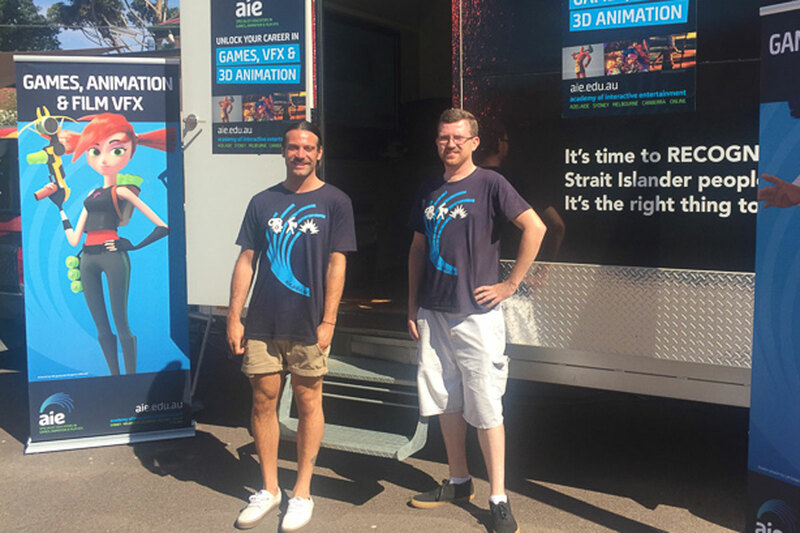 “I saw this as a great opportunity to expand the video game development industry in South Australia, and to further the success of Adelaide’s Ratbag Studio, one of the most internationally prominent Australian game developers in the early 2000s.” said Potanin. After six years in Europe, working as a lecturer and active games developer at the University of Breda in The Netherlands, Potanin was excited about returning to her hometown of Adelaide to open the new Academy of Interactive Entertainment campus. AIE is one of Australia’s most awarded 3D animation, game design and visual FX educators. Its graduates have contributed to internationally renowned film visual effects and animation titles, such as The Lego Movie and Mad Max: Fury Road. The Adelaide campus’ advanced diploma students have not yet completed their first year of instruction, but are achieving success, winning the Adelaide Game Jam in August, 2015. Operating for 20 years on Australia’s east coast, their Adelaide campus opened in February 2015. Created as a not-for-profit registered training organisation, the AIE’s aim is to grow the creative digital sector via the development of specialist game qualifications and innovation through industry partnerships and dynamic teaching methods. Their Adelaide campus is run by industry-focussed teachers. An AIE objective is to encourage growth in regional areas to boost employment opportunities in the industry. With her own rural background, Potanin is aware of the potential benefits for empowering regional youth. “My ambition is to visit rural and regional South Australia and encourage country kids to consider game and film development as a study option,” Potanin said. Through its Vocational Education and Training in Schools (VETiS) program, the AIE trains school teachers who train the students, creating a long-term skill investment in the community. “Regional high schools can sign up for the SACE-credited VETiS program run on the school premises under the direction of the Adelaide Campus, or enrol in AIE’s Online Campus,” Potanin said. In November 2015 a team of AIE students and staff achieved first place in the Adelaide division of the 48 Hour Film Project – the film equivalent of the Global Game Jam. Finals for this international competition are in Atlanta, USA in March this year. “Our investment in regional and city talent not only supports existing games studios, but also incubates new ones, which is vital for growth in our industry.” Potanin said. To further their regional ambitions, the AIE has partnered with RiAus, Australia’s national science channel established to promote public awareness and understanding of science.